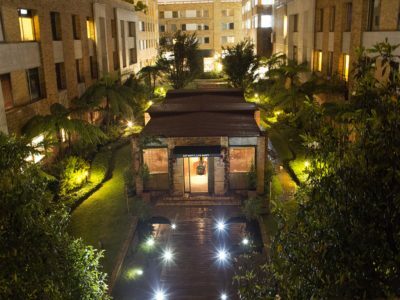 Colombian authorities today arrested eight people in relation to the June 17 bomb attack that killed three women and injured eight others inside a high-end shopping mall in Bogotá. In a coordinated operation this afternoon, law enforcement, led by the nation’s attorney general and National Police, captured four of the suspects in Bogotá and intercepted the other four in El Espinal, a city in the department of Tolima located almost 100 miles to the southwest of Bogotá. Colombian Attorney General Néstor Humberto Martínez said that the eight people — four men and four women — now in custody will be prosecuted for terrorism, homicide, kidnapping, theft, and conspiracy for their alleged role in perpetrating the deadly explosion in a women’s bathroom of the Andino shopping mall on the day before Father’s Day that has shaken the nation for the past seven days. “The full weight of the law will fall on those responsible,” said Colombian President Juan Manuel Santos on Twitter. The attorney general said that the investigation produced evidence linking the suspects to the People’s Revolutionary Movement (MRP), a organized armed group, which may have only formed in 2016, that the attorney general said has claimed responsibility for attacks in the past. Evidence obtained thus far also suggests the perpetrators may have had a role in up to 14 other known attacks carried out since 2015 in the capital and the Risaralda departmental capital of Pereira. That investigation remains ongoing, according to Martínez, who thanked the many Colombians who have come forward in the past week with information to help authorities in their casework. 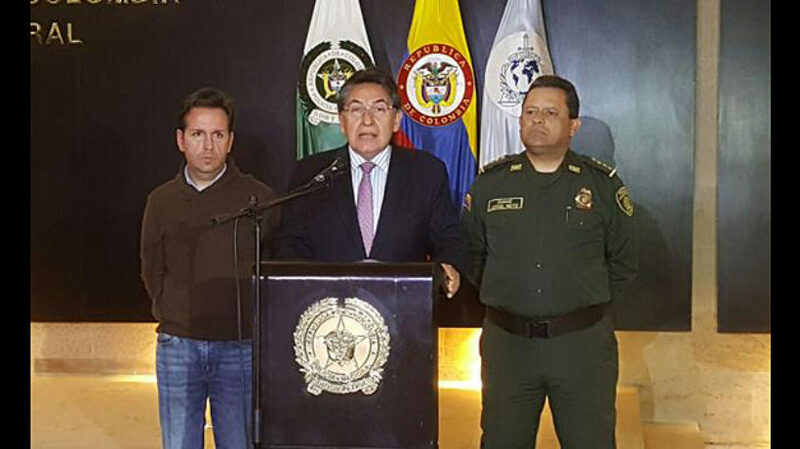 Troublingly, Martínez also revealed that two of the people arrested today had been detained earlier this year amid suspicion of plotting to carry out an attack in Bogotá. A judge, however, apparently ruled that the evidence was not sufficient to put them away, according to Colombian newspaper El Tiempo. On Twitter, Bogotá Mayor Enrique Peñalosa commended the work of the Bogotá police and attorney general for the capture of the alleged Andino attackers. “Bogotá will not bow to terrorism,” wrote the mayor. Peñalosa also pledged ongoing support for Pilar Molano Villamizar, who he recently learned has lost her leg due to injuries suffered during the explosion. Lady Paola Jaime Ovalle and Ana María Gutiérrez were the two Colombian women who died in last Saturday’s attack. Julie Huynh, a French woman who had been volunteering in a lower-class Bogotá neighborhood, was also killed by the blast.